Tier 2 Screening: This screening ultimately will result in the selection of a single Locally Preferred Alternative (LPA) defined in terms of mode and general alignment. Tier 2 Screening will evaluate the short list of full corridor alternatives at a level of detail sufficient for local decision-makers to select a LPA. The Tier 2 screening will rely on the travel demand forecasting model and limited conceptual engineering focusing on capital, operating and maintenance costs. Starting January 3, 2012 Johnson County Transit will start using the shoulder on I-35 to move it’s buses pass congestion on the highway. This Bus-On-Shoulder (BOS) strategy is used in several cities to keep buses running on schedule when traffic congestion is heavy enough to slow the highway speed below 35 mph. 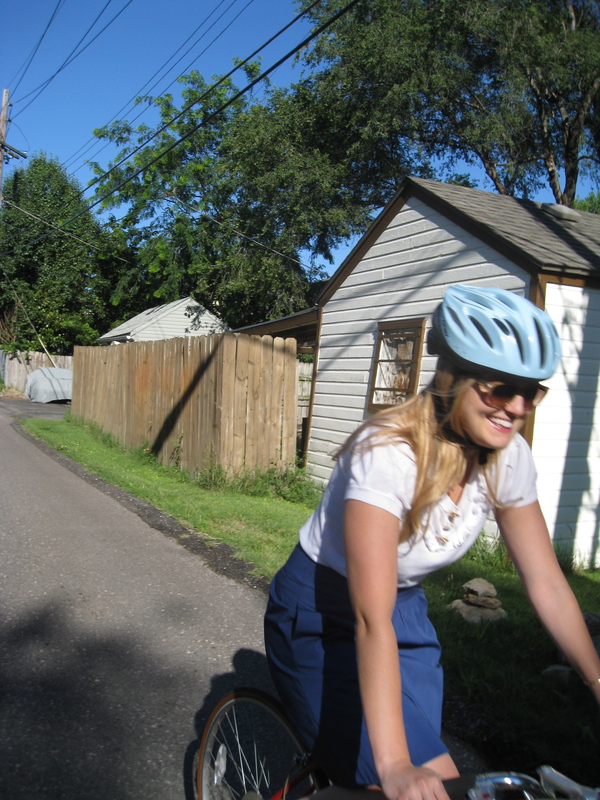 Minneapolis has used it for years and has 250 miles of highways usable for BOS lanes. Chicago is starting BOS this week on I-55. BOS is considered an innovated method to move more people efficiently using existing infrastructure. This method will be used on The JO Xpress, an enhanced bus service along I-35 linking Johnson County with downtown Kansas City, Missouri. Bus service currently runs along I-35, but this enhanced bus service will operate during the morning and evening rush hours from 95th Street to the Johnson/Wyandotte County Line. With the current level of congestion on I-35 during rush hour JCT expects 8-10 buses a day will utilize the shoulder option. On a “normal” day buses will gain 3-5 minutes, but the real benefit comes when I-35 traffic is slowed due to incidents or weather. For safety reasons the buses are limited to no more than 35 mph and can’t go more than 10 mph faster than traffic. Buses yield to other vehicles entering, merging or exiting through the shoulder. Of course they have to re-enter traffic when the shoulder is obstructed. BOS has no negative effect on existing traffic, however, based on the experience in other cities it can have a positive effect on transit ridership due to improved schedule reliability. Bus on Shoulder is not a cure for congestion on the highways, but it is another tool in the transit toolbox to improve the commuting experience. Review the significant summary table from that report showing projected ridership numbers and estimated cost for different alternatives. 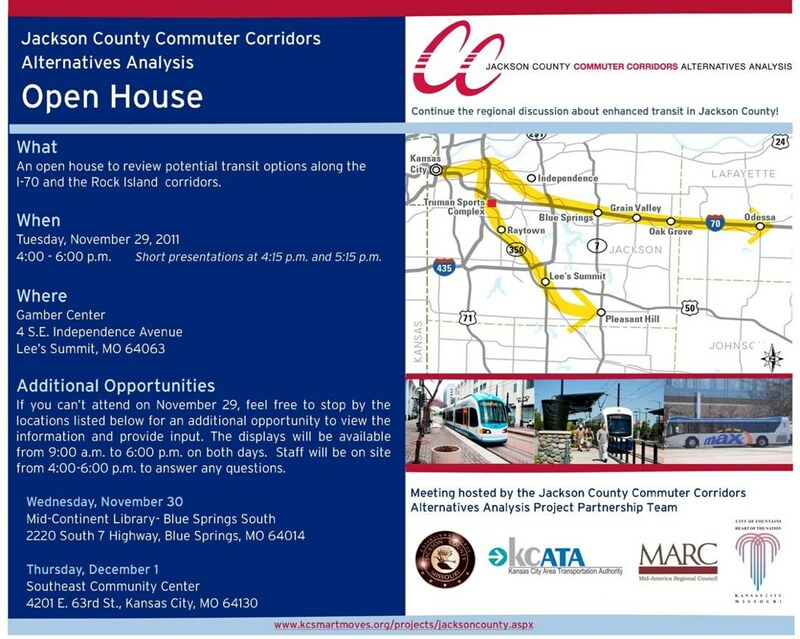 Johnson County Transit is holding two public meetings to provide an opportunity to comment on proposed service changes to The JO bus routes. When: Wednesday, November 16, 2011, at 6:30 p.m. and Friday, November 18, 2011 at 7:00 a.m. The new schedules will begin on January 3, 2012. County Executive Mike Sanders, in his State of the County Address today, made a strong commitment to regional public transit. After describing past accomplishments of his administration, Sanders clearly had his eye on the next generation when he closed by talking about transit. We have decisions to make, he said. 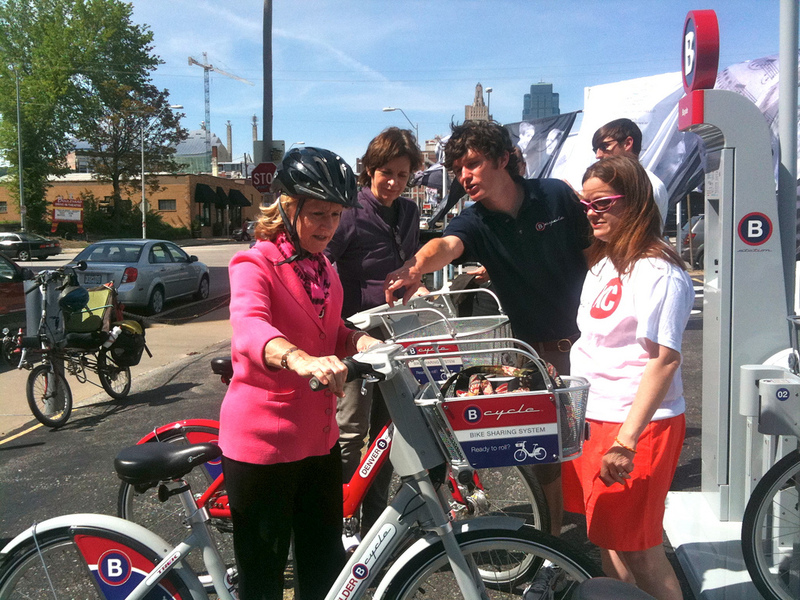 It’s time for a new vision to meet the transportation needs of the next generation. We have a rich tradition of public transit, and Sanders said he is committed to a modern public transit system. Sanders cited a Brookings report earlier this year — the one that ranked our region 90th of 100 at getting people to jobs by transit — and pointed out that while only some of us ride transit, all of us need it. Sanders said the region has recently gotten $2 million in federal money to study how to meet transit needs in major commuter corridors, and he is working with regional partners to complete those studies. Sanders closed with what he called one simple question: What do we want to do for the next generation? He asked people to join with him on the next journey, building a regional transit system. In his speech Sanders made no reference to any particular form of transit. That’s appropriate because the requisite studies have not been completed. Nor was there a hard-and-fast target date. That, too, is appropriate because funding is uncertain. County Executive Mike Sanders made a strong leadership commitment to regional transit, and that is truly significant.